or on the other day , all Fences are on one Monitor.. OK till now I go to a backup and say take back the fences and all work great. Sorry to hear you are having issues. 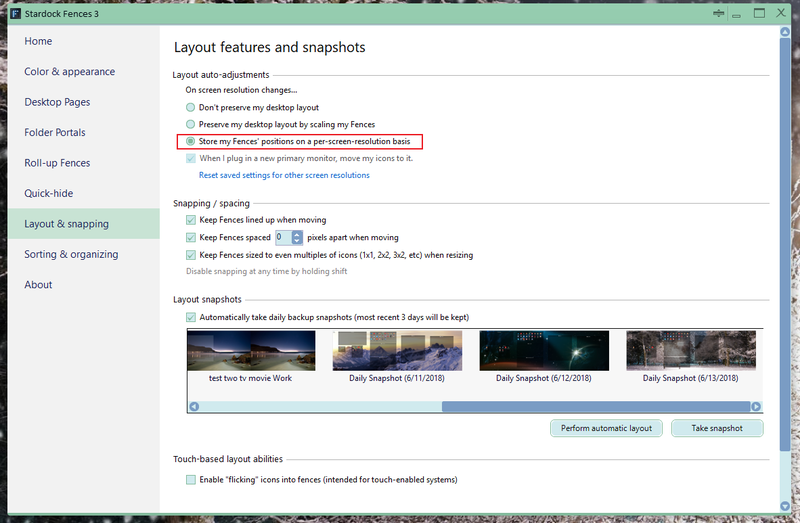 Could you check if you have "Store my Fences' positions on a per-screen-resolution basis" turn on. If its not please try turn it on and see if its helps solve your problem. Now it work's GREAT.. thanks..